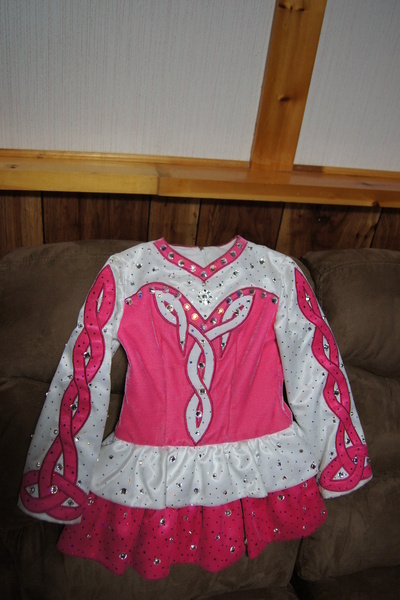 Beautiful novice dress for sale. The dress comes with a tutu, matching headband and white bloomers. Asking Price: $CAD150.00. Shipping costs are not included in the asking price. Sale is final.